Begonia houseplants are particularly susceptible to a disease called powdery mildew. The degree of injury varies from cosmetic to severe depending on the begonia cultivar, the time of year and the environmental conditions. 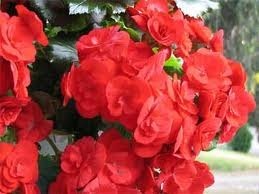 The Erysiphe cichoracearum fungus causes powdery mildew infections in begonia plantings. The fungus is most active during the fall and spring when temperatures are moderate and humidity levels are high. Most begonia cultivars are prone to powdery mildew infections; however, some varieties such as Begonia dregei, sutherlandii and gracilis are more susceptible to the disease than other cultivars. The earliest symptoms of powdery mildew in begonias are .125-inch patchy white spots on the surfaces of leaves. The spots, which contain fungal growth and spores, grow and combine until they cover large areas of leaves, flower buds and stems. Diseased leaves curl, yellow and fall from the plant. 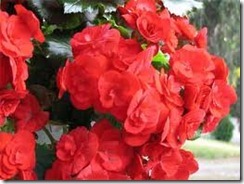 Severely infected begonias may suffer from defoliation or entire collapse. Planting disease-resistant species can reduce or eliminate powdery mildew infections in begonia plantings. Applying an appropriate fungicide when disease symptoms first appear can also help control powdery mildew infections, especially if the plant receives additional scheduled sprayings throughout the growing season.